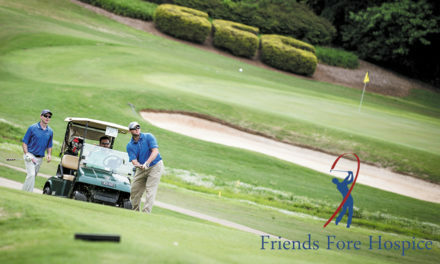 Newton, NC – Newton Elks Lodge #2042 will host their 16th Annual Spring Charity Golf Tournament on Friday, April 26th at Glen Oaks Golf Club in Maiden.Registration and lunch will begin at 11 am, with a shotgun start set for 12 noon. The format for the tournament is captain’s choice with four players per team. Cost for the event is $80 per player or $320 per four-person team. Entry fee includes 18 holes of golf, cart, lunch, golfers gifts, one mulligan, and one skirt shot (tee off from ladies tee). Additional mulligans and skirt shots may be purchased for $10 each. Prizes will be awarded for the low team round as well as the highest round. There will be closest to the pin prizes on holes 8 and 15, plus the longest drive on hole 3. Prizes, sponsor recognitions, raffle, and cash bar reception will be held at the Newton Elks Lodge immediately after the tournament. Pre-registration and payment deadline is Saturday, April 20th. Proceeds from the tournament will be used to support our local community through the efforts of Newton Elks Lodge charitable work. Team registration forms are available at the Newton Elks Lodge #2042, West J Street, Newton. Corporate and individual sponsorship opportunities are available for the Spring Charity Golf Tournament. For more info., contact Newton Elks Lodge (828) 464-1361, Adam Hodge (828) 310-7928, or Hunter Davis (828) 455-5000. Charity Yard Sale Saturday, May 28, At Carmike Cinemas – Make Some $$$ And Help Others!